Many aquatic enthusiasts lose sight of the fact that the water quality of your aquarium is of the utmost importance to the long term health of your fish. Whether fresh or salt water, the better your water quality the more likely you are to have great looking fish with very few issues. With today’s fancy filtration systems and more advanced filter media, many of us forget that regular water changes are still the best guard against fish problems. At Hikari®, we recommend, as general rule of thumb, to change at least 25 percent of the water monthly. If you have a heavily stocked aquarium or keep large fish (especially carnivores) in your collection, you should change out 15 to 20 percent of your water as frequently as weekly. Remember, filtration systems can help slow the buildup of harmful elements but they are not capable of reversing declining water quality. The best solution remains refreshing the system with new, properly treated water. 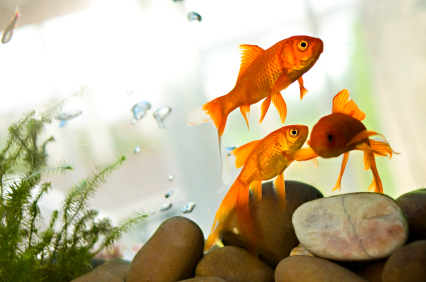 There are many different things that can affect your tank’s water quality. From feeding to improper supplementation, naturally occurring bacteria or heavier dissolved solids and of course nitrates too. There just isn’t a cure all other than good old fashioned water changes to mitigate most of these issues with 100% guaranteed success. A buildup of decomposing organic materials leads to poor water quality because as waste breaks down, it release nitrogenous elements and phosphates that can make your water an acidic environment with potentially dangerous pH levels. Regularly changing a portion of your water slows this process and allows for a pH stable environment. Regularly changing water can also help reduce aquarium odors and remove discoloration delivering a clearer view of your tank inhabitants. Likewise clear water allows for optimal light penetration. Additionally, fish will have their best color when they are in a stable environment rather than one which is constantly migrating from good water to poor. The additional stress this causes will impact fish stress levels and coloration is usually the first thing that suffers. Trace elements and essential minerals can be depleted during the filtration process. Refreshed water can help restore and supply necessary elements ideal tank health.